This entry was posted on October 24, 2018 by Don Roberto. Fall is on the way, and along with the colder weather comes warmer clothes. Layers of clothes. This is the time of year when jewelry often gets hidden behind coats and scarves and long sleeves. Dark colored clothing tends to darken the mood, and small pieces of jewelry can be the perfect way to bring a little brightness to the colder, gray days. What are the best ways to share your style this fall? Here are some of Don Roberto’s picks for the upcoming season. What better way to bring some flair to a dull day that with some adventurous gold earrings. Here are three of this seasons favorites that are guaranteed to turn heads. 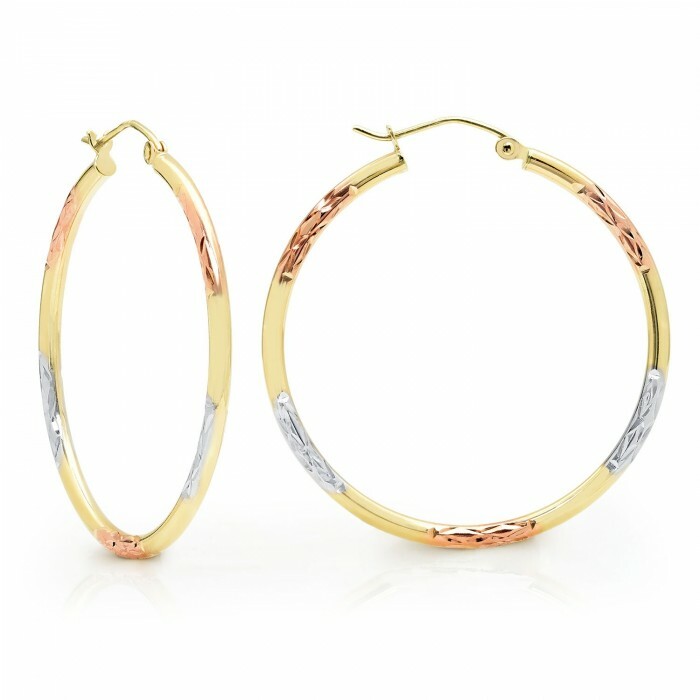 These beautiful hoop earrings are cast in tri-color 14k gold with diamond cut details. the polished hoop earrings are 35 millimeters in size and make a great addition to your unique style. Alluring and elegant, these beautiful drop earrings are cast in 14k yellow gold. These lariat earrings feature yellow gold beading with teardrop ends. These 14k gold yellow earrings feature a polished ball with a loose link chain that connects the ball to the post. This stunning pair of fashion earrings makes a great accessory when dressing up for a night out with your girls. Here’s our fall philosophy: If one ring is a good idea, then surely more is better. Add some extra glimmer to your fingers as they peek out of the end of a warm sweater. A gorgeous 14k two-tone gold fashion ring that has the design of a bypass ring with the extravagance of a cocktail ring. The polished 14k yellow gold is accented with diamond cut white gold edges and features twists and turns of gold layers, creating more shine to this fancy ring. This gorgeous ring is cast in 14k white and yellow gold and features an all-over criss-cross design in both white gold and yellow gold. With its intricate detail and shine. this wide band fashion ring makes a great accessory for all occasions. This 14k yellow gold polished done ring is simple and fashion forward. It makes a great addition to stackable diamond rings and midi rings. Don’t just tell the time. Do it in style. With these yellow gold timepieces adding impact to your look, you will be able to keep pace with the season. 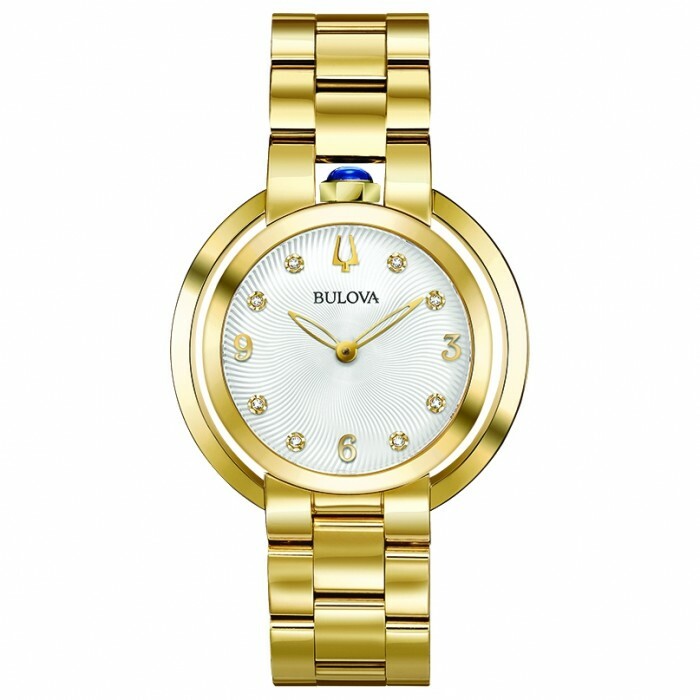 The women's yellow gold-tone watch is from the rubaiyat collection is stunning. Featuring a synthetic blue spinel cabochon crown at the 12 o'clock position. The textured yellow-gold-tone dial features eight individually set diamonds and protected by a double curved sapphire crystal. A stunning ladies citizen watch features a gorgeous gold-tone stainless steel bracelet and case. The spokes and hands are accented in a gold-tone and contrast beautifully against the white dial. This ladies’ watch features a 40mm case, mineral crystal, and an eco-drive movement powered by light. This women's Citizen Nighthawk watch makes a great accessory from day to night. The stainless steel gold-tone case features a champagne dial with a crystal accented bezel. The dial features a 1/5-second chronograph that measures up to 60 minutes. These pieces are guaranteed to warm up your fall and winter. They will add style and substance to any winter clothes choice and show that you are always in style, no matter the season. For more great fall jewelry selections, be sure to stop by one of our many locations to view our latest pieces. Don Roberto has been serving the community since 1972 and is committed to helping you have a memorable jewelry buying experience.